Ashland City Hall is located at 206 Claremont Avenue, Ashland, OH 44805; phone: 419-289-8622. 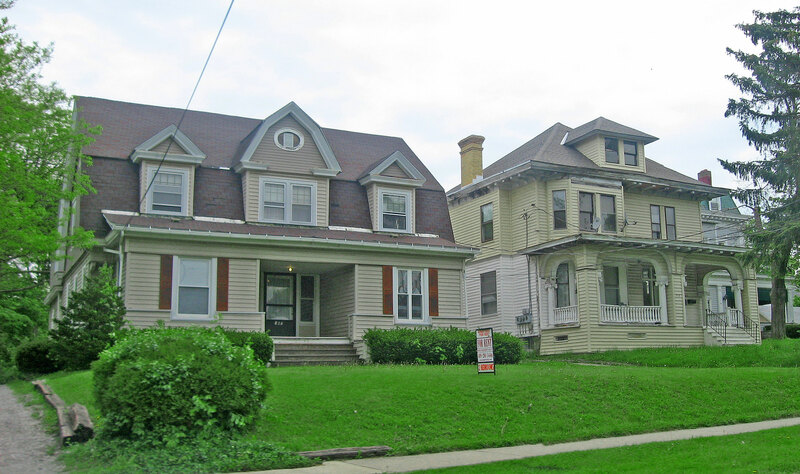 Photo: Homes on Center Street (1894 and 1921), Center Street Historic District, Ashland, OH. The Historic District was listed on the National Register of Historic Places in 1976. Photographed by User:Nyttend (own work), 2013 [cc0-by-1.0 (creativecommons.org/publicdomain/zero/1.0/deed.en], via Wikimedia Commons, accessed June, 2015. Ashland County Ohio, Comprehensive Plan, 2000, www.ashlandcounty.org, accessed June, 2015.